AB de Villiers undoubtedly has quite a large fan following from all over the world. Even after hanging his boots from international cricket, the South African cricketer continues to play for the Royal Challengers Bangalore in the Indian Premier League. His fan following from India escalated to another level after he started playing the IPL. The South African cricket cannot thank the fan enough for the support that they have rendered to him over the years during the IPL. MI vs RCB IPL 2019, Stat Highlights: Hardik Pandya’s Cameo & Lasith Malinga’s Four Wickets Handed Virat Kohli & Men With their Seventh Defeat. 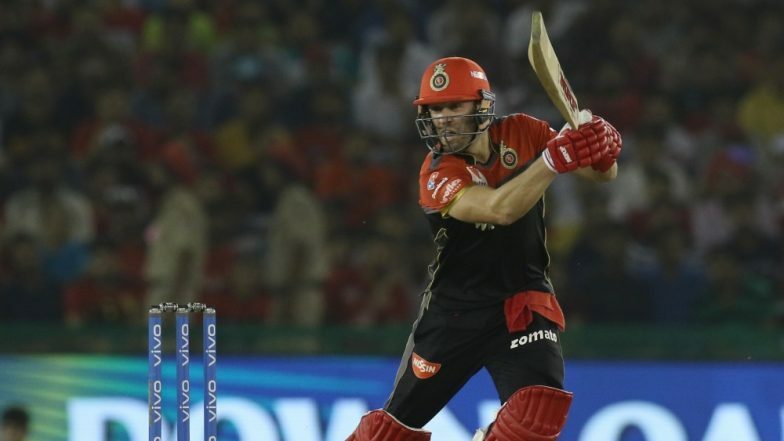 AB de Villiers has had a good time with the bat at the IPL 2019. The South African cricketer has scored four half-centuries in the IPL 2019 so far. Talking about the team, the Royal Challengers lost their match against the Mumbai Indians yesterday at the Wankhede Stadium by five wickets. With only one win from eight games played by the Royal Challengers Bangalore, the team is placed at the bottom of the IPL 2019 points table. The team will next play against the Kolkata Knight Riders on Friday at the Eden Gardens in Kolkata.